You are currently browsing the tag archive for the ‘feathers’ tag. FROM THE ARCHIVE December 2014. You didn’t really think I wouldn’t reblog my cheerful little robin from last year, did you! There’s still time to buy your Christmas cards — if you have a sturdy, fast-moving writing hand, that is. And this our parting spring. Inspired by the exquisite paintings of Janet Weight Reed, whose running motif is the hummingbird, I have used the same background as in Seagull Sonata to showcase this rather splendid hummingbird (Mdf on Wikimedia Commons). I created Seagull Sonata with a photograph from Wikimedia and applied several textures, including one by Kerstin Frank, to produce a digital watercolour. Hark to the whimper of the seagull. He weeps because he’s not an ea-gull. Suppose you were, you silly seagull. Could you explain it to your she-gull? First Night Design | Stay, Little Cheerful Robin! BLESSINGS TO YOU ALL FOR THE HOLIDAYS! MAY YOU HAVE A BEAUTIFUL DAY TOMORROW AND THE BEST SORT OF RECOVERY THE DAY AFTER! P.S. 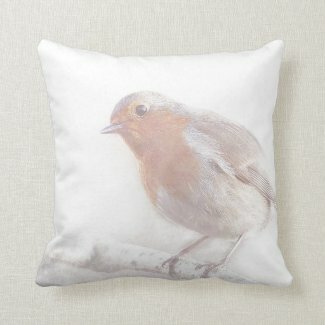 WITHOUT A COMPUTER AND THUS NO CHANCE OF CREATING A NEW CHRISTMAS POST, I HOPE YOU WILL ENJOY SEEING MY ROBIN AGAIN. The original robin is “Erithacus rubecula with cocked head” by Francis C. Franklin – Own work. Licensed under CC BY-SA 3.0 via Wikimedia Commons. Textures used are from 2 Lil’ Owls. What does a girl, a plate of food, and a handwritten French document from 2 Lil’ Owls have in common? Nothing. Except all these elements have been combined, believe it or not, to create this piece. It’s astonishing what different shapes and colours can do when blended together. Throw in three different textural backgrounds, also from 2 Lil’ Owls and bought as a bundle from Design Cuts, and a beautiful swan from The Graphics Fairy and you have The Swan Also Rises. Yes, the title tickled me when I thought of it!